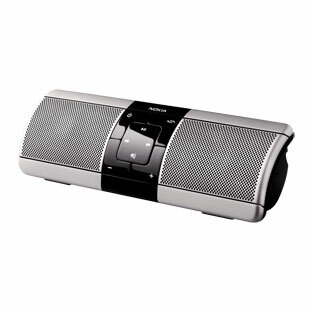 This is Nokia Play 360, it is the first portable hi-fi speaker. 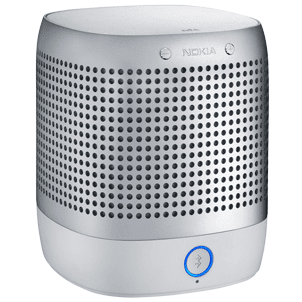 There are other portable speaker that Nokia offers MD-9, MD-11, MD-6, MD-8, MD-5W but i think only MD-5W comes closest to Play 360 when it comes to portability and connectivity. The only difference is that MD-5W has no internal rechargeable battery and NFC support, and also a lesser power speakers at 2 x 1.5w. - 360 degrees (imno directional) sound made possible by up-firing speakers. 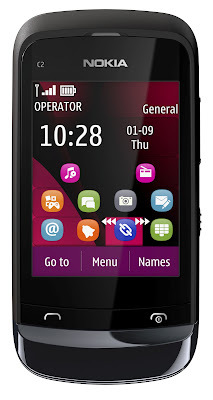 This phone is best paired with Nokia N9 and C7 (both have NFC). 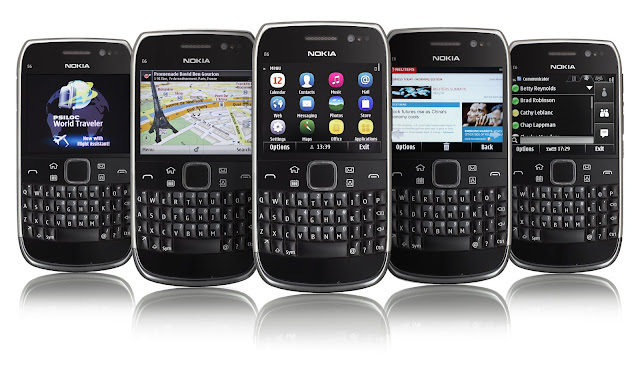 We posted before about a leaked picture of Nokia E6 and now after 4 months its now available here in the Philippines. For business users the Nokia E6 offers direct, secure and real-time access to corporate systems through Mail for Exchange and Microsoft Communicator Mobile. It also supports intranet and extranet portals built on the Microsoft Share Point Server. Extended Microsoft support includes Mail for Exchange, with enforced encryption and certificate based authentication. The Nokia E6 is coming in black, silver or white and has an SRP of PhP17,820. I'll provide more info when I get a hold of a unit. Unlocked version of iPhone 4 is now available for selling at the Apple Store for $649 on 16gb models and $749 on 32gb models in the US. This is intended for iPhone users who are frequently going in and out of the country with no access to AT&T (GSM) but still want to use their iPhones. This could be the start of unlocked versions of iPhone all over the world via authorized retail outlets. We don't have a word yet but we are hopeful that this will happen. If in case, unlocked versions also reach Philippines, then we don't need those very expensive gray market unit sellers anymore, including the unlocking services being offered by unauthorized service/jailbreaking centers or guys. Only the GSM version is being sold with unlocked option. I want to share the pictures, movies, videos, music on my phone but i dont want the hassle of going near the HDTV or speakers just to connect my phone by 3.5mm jack or mini HDMI. 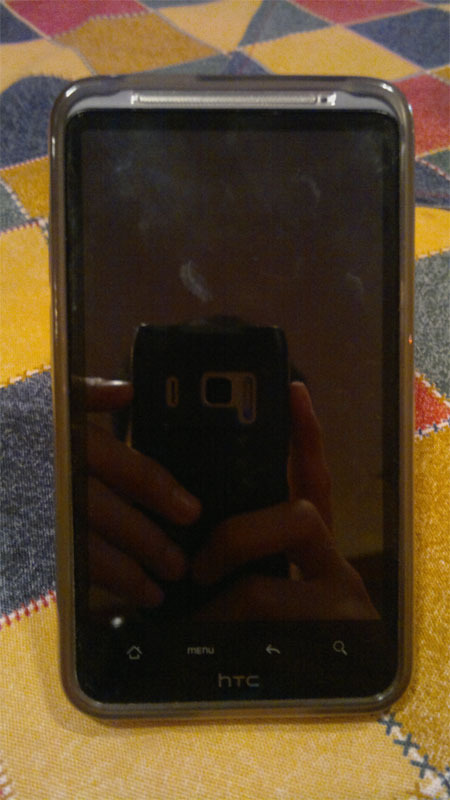 Good thing i saw this post from my nokia blog. 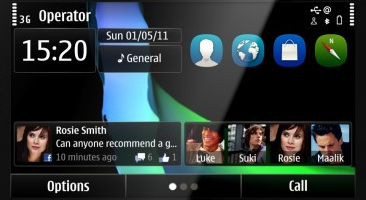 This post features a step by step procedure on how to stream media files such as pictures, videos and music wirelessly from S^3 devices, particularly (in this demo ) the nokia N8. 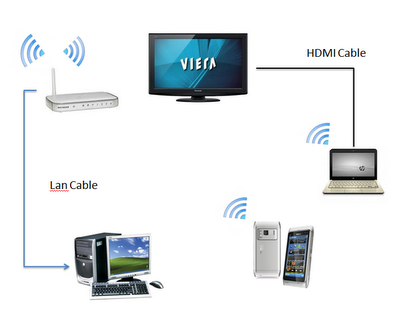 This tutorial uses Nokia Play To app from nokia beta labs as the source of media, windows media player 12 DLNA support (for Windows 7 only) as the receiving application of the media and a wired+wireless network. This is made possible by DLNA - standards-based technology to make it easier for consumers to use, share and enjoy their digital photos, music and videos. The image above depicts my simple network, I have a wireless router where the PC is connected physically by a LAN cable, while other devices (laptop, mobile phones) connect to it wirelessly via WiFi. This is cool, real angry birds real band tons of people lots of fun! Last week, I was able to speak to Mark (of Techpinas) during the Nokia's launching of two new mobile phone. 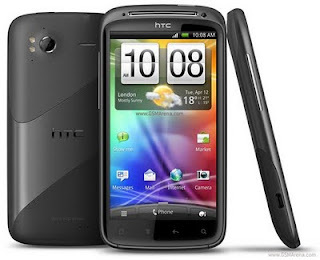 Our conversation went to his one of awaited phones of the year, the HTC Sensation. Mark is currently using an HTC Desire HD which he showed me. 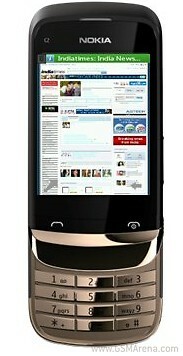 It has a very large and beautiful 4.3" LCD screen and a thin profile. Personalize your Dual SIM experience with your own SIM name, call or SMS settings, logo, ringtone or music. Your phone remembers up to 5 separate SIMs. Store and shuffle THOUSANDS of songs. Be your own DJ and create your own playlist, play your music out loud and clear for hours and hours (up to 36hrs). 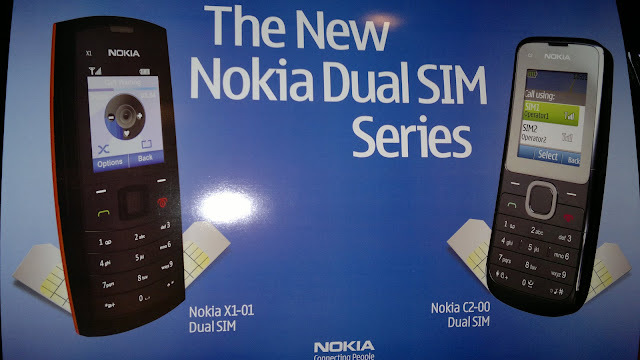 Unlike previous dual SIM phones made by Nokia which requires users to switch to the other SIM card by restarting the phone, X1-01 features an active dual SIM standby : the two inserted SIM cards are both ready to send or receive calls and messages. No more restarting of device. 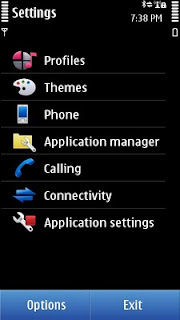 Personalize your Dual SIM experience with your own SIM name, call, SMS data settings. Your phone remembers these settings for up to 5 separate SIMs. Unlike previous dual SIM phones made by Nokia which requires users to switch to the other SIM card by restarting the phone, C2-00 features an active dual SIM standby : the two inserted SIM cards are both ready to send or receive calls and messages. No more restarting of device. Another interesting part of C2-00 is it's SIM slot 2 (which can be found on the side) can load different SIM cards on-the-fly. No need to turn off the phone for the information on the newly inserted SIM cards to take effect. Think of it as similar to microSD's Hot Swap. 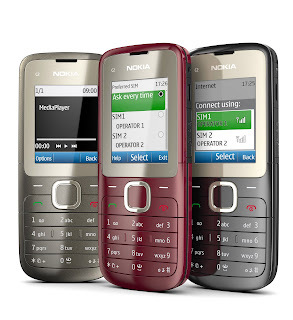 This is the two new Dual SIM phones from Nokia. Ruby Rodriguez and Petite hosted the event with special guesting of Vic Sotto. 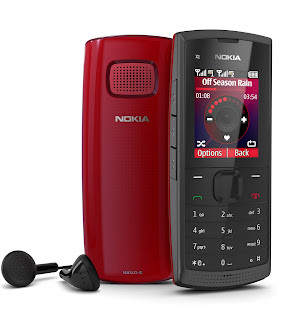 Nokia also made us guess the price of the repective device, seeing the built and the look, I estimated that Nokia X1-01 will be P4,500.00 while C2-00 will be P3,500.00. I'm shocked to hear that they will be selling the unit at the price below. You can now experience super fast wireless broadband with Globe's newest Tattoo Tonino Lamborghini stick that supports the latest upgrade Globe did to its wireless network (upgraded 4g). It may not be as fast as Smart's LTE but its surely fast as any other average wireless broadband available in the country. The problem now is that you'll be consuming the daily 800mb limit imposed by globe faster.